In an article written for FENews byNikki Bardsley, Director of Apprenticeship Operations, Seetec she highlights the drop-rates from universities and that an alternative option of doing apprenticeships not being considered as many are encouraged to follow the higher education route. Record numbers of teenagers are entering into higher education each year, with reports suggesting that almost 50% of high school leavers started a degree in 2017. With going to university becoming more and more commonplace each year, it is only reasonable that not everybody will have made the right decision for them. Last year 12% of students stated the university experience was worse than they imagined. For many youngsters, university is seen as the only option when leaving college, especially for those who have had great grades throughout their academic career. University courses remain really academic as opposed to hands-on, meaning many students can feel disengaged, depending on how they learn best. A surprising 5% of students in the 2018 Higher Education Policy Institute (HEPI) report, stated they wouldn’t enter HE again if they had the opportunity to start over. This rises even higher in students who have to commute to get to their chosen university, with 9% questioning their choice to enter HE. With the rise of student debt and the disappointment in the university lifestyle, it should not come as a surprise that more and more students are now choosing to take on an apprenticeship to get their dream job instead. Drop-out rates among university students who give up their studies within 12 months have gone up for the third year in a row, according to official statistics. 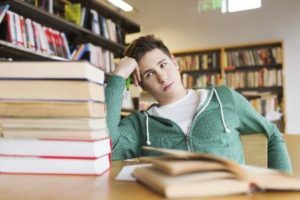 Figures recently released by the Higher Education Statistics Agency (HESA), show that 26,000 students in England who began the first year of their degree in 2015 did not finish the year. This isn’t the case for all though, as rates vary throughout the HE sector, but up to one in five undergraduates quitting university before the end of year one at the worst affected institutions. It’s not just school leavers dropping out of courses however, among mature students the rates of dropouts is also rising. Not only is this a problem for the students themselves who may not have their talents realised, but it is also a huge problem for employers who are in need of up-skilled and re-skilled staff. More young people are looking to get the most out of their education, without having to fork out for university costs. We’re seeing a generation who have been encouraged to stay in higher education, which is perfect for some, but as we’ve learnt, this just isn’t for everyone. We see so many young people coming to us who want to learn but just don’t enjoy the prospect of leaving home and heading to university for a life of dissertations and lectures. According to a 2017 survey from the Higher Education Policy Institute, student dissatisfaction is rising. The percentage of students who feel they are not getting value for money at university now stands at 32% in 2018 – with the highest it’s ever been at 34% in 2017. Students going into high education, have been seen to show that students have falling perceptions of value for money, lower wellbeing than the rest of the UK population, as well as a dislike of England’s high-fees model of funding undergraduate education. Students site the most off -putting part of higher education are fees and living costs. As employment and skills specialists, Seetec, is working with a number of major businesses across the North West to help raise awareness of the benefits of apprenticeship schemes versus university, and the benefits they can have for those concerned about the cost of being a student. This year, there has been an increase in the number of apprenticeship sign ups aged between 19 and 25 looking for an alternative to kick start their career. With the cost of being a student ever on the rise, students who spend time in a job working for pay alongside studying face understandable challenges to balance the tough demands. These students who need to work to fund their studies, can risk affecting their academic gains meaning they feel it is even less value for money. While universities encourage students to limit their time in paid employment this is unfeasible for some. We want to help young people look at their options. There are so many different courses and opportunities that can be undertaken for apprentices and this is something so often overlooked. Plus, learning skills on the job whilst earning a living is such a pragmatic way for a young person to start looking at their career and what they want to do. Even though university is meant to be a time for learning, many students who do work often end up working much more than the recommended 15 hours per week, meaning they are often short on both time and money, and struggle keeping up with fitting in valuable studying time. Learning on the job may be a better option for them. Many students entering creative careers such as PR & Marketing, or Journalism are still expected to undertake unpaid internships once they finish their degree. Whereas on some occasions not doing the degree and working their way up while learning on the job can be more beneficial. While avoiding huge student debt, apprentices studying accountancy, banking, or IT can earn over £17,000 per year with much more disposable income than the average student. The average apprentice in the North West is paid £17,488* per year, meaning they’d be likely to earn £52k over three years, while their peers at University rack up a similar amount in debt. With more funding going into apprenticeship schemes, this generation of learners can consider their options, rather than simply entering in to university and risking potential debt. The choices for young people now are broader than ever making it even more important to research and find the best route to an exciting avenue for education to help increase future career prospects.